There is widespread coverage of the statistics, with the papers leading with the fact that crime recorded by police in England and Wales has increased by 10 per cent, the largest annual rise in a decade. They note it marks an end to 30 years of falling crime figures, which was driven by an 18 per cent increase in violent offences in the year to March, according to the ONS. It is also reported that the Crime Survey for England and Wales shows a 7 per cent fall in crimes traditionally measured by the survey over the same period. The papers also note that news comes as separate Home Office figures showed police officer numbers dropping to their lowest level for more than three decades. Most of the papers carry editorials calling for urgent action, but vary in their position. The Telegraph recognises that interpreting crime statistics in never a straightforward exercise, but calls for a stronger stance on crime. The Guardian says a coherent crime strategy needs to be developed. The Sun reports that cutting police numbers was necessary to help lower the deficit but if crime is climbing again, forces must have the man power to control it. The Times notes that putting more police on the street would be one approach but arguably “not the best use of public money” and have called for the increased use of stop and search. The Express focuses on police forces doing more, saying the forces should recognise that violent crimes are what worries the public the most. The second round of Brexit talks concluded yesterday. One of the main areas of the negotiations so far has been the future rights of EU citizens living in the UK and of UK citizens living in the EU. 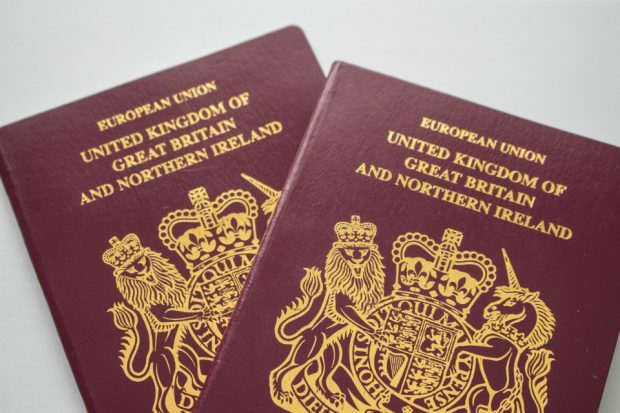 Following the talks, the European Commission said Britain should not carry out criminal record checks on EU citizens in the UK when it comes to consider their applications for settled status. A leader by the Express says that control of “our borders” must include the ability to deport “foreign criminals”. The Telegraph notes that the criminal record checks would only cover serious crimes committed by the individual while in the UK. The Guardian focuses on the warning from EU negotiator Michel Barnier that British people living in the EU after Brexit will lose the right to free movement. The newspaper quotes a senior EU official saying that they are ready to look at the issue but only if the UK makes a reciprocal offer. Journalists can contact the Home Office Press Office for media queries on future immigration arrangements.